This flamingo handmade table runner is a bit of fun. His unique pattern will make you and your family smile every time. 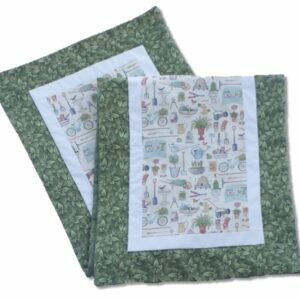 This delightful handmade table runner is a wonderful way to make any room come alive. This Flamingo bounty is 100% cotton. The table runner lining is 100% cotton and filled with poly batting. Go, make your home beautiful. Get your Flamingo table runner today. Standard approx 38" x 14", Long approx 51" x 14", X Long approx 71" x 14", Double Long approx 97" x 14"